Testament were the biggest thrash metal band never to reach the platinum plateau. In fact, the San Francisco quintet seemed on the verge of challenging Metallica (their most obvious influence) in the melodic thrash sweepstakes, but their run toward the top was eventually derailed by inconsistency, bad business decisions, and the genre's dwindling appeal. Unable to change with the times like Metallica, Testament quickly faded from sight in the early '90s, but have remained active and very popular within the metal underground. 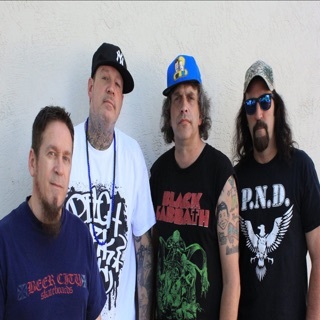 Influenced by the then-emerging Bay Area thrash metal scene, vocalist Steve Souza, guitarists Eric Peterson and Derrick Ramirez, bassist Greg Christian, and drummer Louie Clemente came together as Legacy in late 1983. But it wasn't until the arrival of lead guitarist Alex Skolnick and a name change to Testament two years later that the band's Metallica-inspired thrash metal began distinguishing it from less-refined peers such as Forbidden and Vio-Lence. By 1986, the group was attracting record company attention, but was handed a severe blow when Souza abruptly quit to join original Bay Area scene legends Exodus. Ironically, however, his departure would prove a godsend, as the band soon drafted a significantly more versatile (and downright intimidating) replacement in Chuck Billy. His greater melodic talents and inimitable, bowl-shaking growl would better complement the band's increasing diversity and mastery of melodic crunch. Signed by thrash metal mecca Megaforce Records, the group lent its original name to the following year's remarkable debut, The Legacy. Hailed as an instant classic within thrash metal circles, the album's coupling of furious riffs and harmonic sensibility stood second only to Metallica in controlled power, technical delivery, and sheer confidence. It also benefited from Megaforce's recently obtained distribution deal with Atlantic Records, and Testament lived up to their promise while touring America and Europe in support of Anthrax -- then experiencing their peak with the Among the Living album. Recorded on that tour, the Live at Eindhoven EP cemented Testament's standing as champions of thrash's second wave, and despite lacking the consistency of their debut, 1988's sophomore The New Order maintained their forward momentum and led to yet another lengthy world tour that took the band as far as South America. More focused and driven than ever, Testament took painstaking care in constructing their follow-up, 1989's Practice What You Preach -- a massive achievement that saw them expanding their melodic reach while losing none of their power and aggression. A yearlong tour, including a long stint headlining over Savatage and Wrathchild America across the U.S.A., ensued, and even MTV gave their videos a respectable amount of exposure. Testament truly seemed to be poised on the verge of greatness when everything started to unravel. Offered the chance to support Judas Priest on their career-revitalizing Painkiller tour (also featuring Megadeth), Testament rushed straight from the back of their tour bus and into the studio to record 1990's Souls of Black. A hodgepodge collection of rehashed demos and unfinished ideas, the album stalled on record store shelves and the seeds of frustration and discontent were sown. Not even a coveted slot on the European leg of the Clash of the Titans tour, alongside Slayer, Megadeth, and Suicidal Tendencies, could stall the inevitable, and the band started tearing apart at the seams. By the time they regrouped with 1992's somewhat improved The Ritual, grunge had arrived, musical tastes had changed drastically, and Testament were only one of countless casualties whose once highly anticipated albums fell on deaf ears. Ace guitarist Skolnick, who had long complained of the creative limitations imposed by the band's style, was the first casualty, leaving to join Savatage. He was replaced by Glen Alvelais (ex-Forbidden) for the subsequent tour, which also saw the firing of drummer Clemente midway through, replaced by another Forbidden alum, Paul Bostaph. Following the rather pointless Return to the Apocalyptic City EP, 1994's brutally negative Low -- featuring journeyman James Murphy (Death, Obituary, Cancer, etc.) on guitar and Exodus' John Tempesta on drums -- would be their last with Atlantic. Tempesta was soon off to join White Zombie and new drummer Jon Dette (ex-Evil Dead) only lasted long enough to perform on their next tour before also leaving to join Slayer. Amazingly, Testament persisted, launching their own Burnt Offerings label to release 1995's Live at the Fillmore and another studio effort, 1997's Demonic. 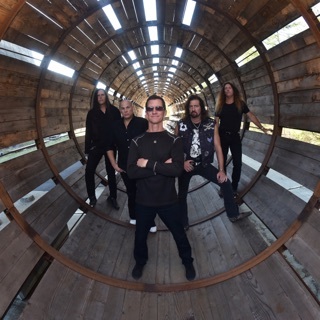 The latter renewed their violent commitment to going back to basics, and featured legendary drummer Gene Hoglan (ex-Dark Angel, Death) and returning founding member Derrick Ramirez, now replacing departed bassist Christian. While their former home Atlantic was busy releasing the Signs of Chaos greatest-hits collection, Testament were moving forward with yet another independent release, 1999's The Gathering, which saw usual suspects Billy and Peterson supported by bassist Steve DiGiorgio, returning guitarist James Murphy, and the awesome talents of original Slayer drummer Dave Lombardo. A major snag was right around the corner, however, when popular frontman Chuck Billy was diagnosed with cancer, prompting a slew of benefit concerts throughout the Bay Area to raise funds for his treatment. Thankfully, he recovered in due time, and Testament chose to celebrate by welcoming back former members Steve Souza and Alex Skolnick (now involved with the Trans-Siberian Orchestra, but predominantly acting as a jazz player fronting his own New York-based trio) to participate in a personally sanctioned collection of their best-loved songs, released in 2001 as First Strike Still Deadly. Eric Peterson was also active with a black metal side project named Dragonlord around this time, and little was heard of Testament in the next few years.